USA manual covering the US Mazda RX-7 1986 - 1991 Haynes Owners Service & Repair Manual covers all Mazda RX-7 models including turbo. 1986, 1987, 1988, 1989, 1990, 1991 The Mazda RX-7 ended up being a sports car that was produced by japan automaker Mazda from 1978 to 2002. The initial RX-7 showcased an 1,146 cc (69.9 cu in) twin-rotor Wankel rotary system and a front-midship, rear-wheel drive design. The RX-7 changed the RX-3, with both versions sold in Japan as the Mazda Savanna. The first RX-7 had been a low rider with pop-up headlamps. The compact and lightweight Wankel rotary engine can be found slightly behind the front axle, a configuration marketed by Mazda as "front mid-engine". It was provided as a two-seat coup, with recommended "occasional" back seats in Japan, Australian Continent, america, as well as other countries. The trunk seating had been at first marketed as a dealer-installed selection for the us areas. 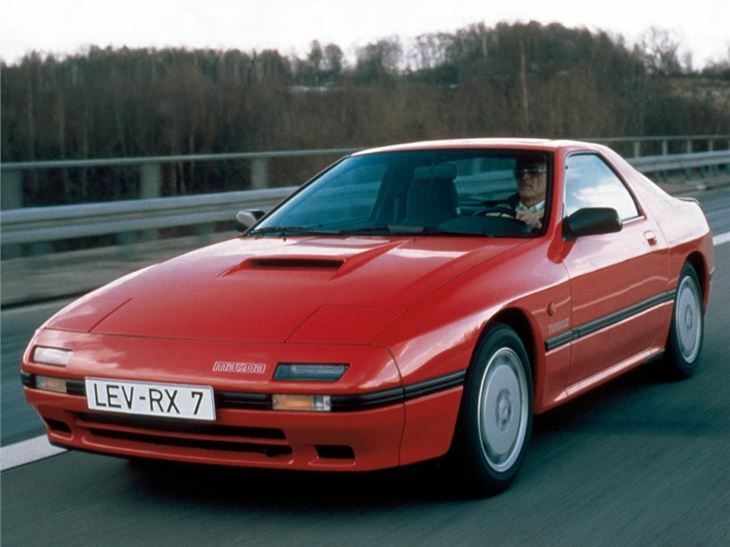 The RX-7 made vehicles and motorist magazine's Ten ideal record five times. 811,634 RX-7s are created. The show 4 (1985--1988) is available with a normally aspirated, fuel-injected 13B-VDEwe creating 146 hp (108 kW) in united states spec. An optional turbocharged design, (1985--1988) known as the Turbo II when you look at the US marketplace, have 182 hp / 185 PS (136 kW). The show 5 (1989--1992) showcased updated styling and better system control, in addition to light rotors and a greater compression ratio, 9.7:1 for the naturally aspirated design, and 9.0:1 when it comes to turbo model. The commonly aspirated show 5 FC made 160 hp (119 kW), as the Series 5 Turbo made 200 hp / 205 PS (151 kW). The rotary system had economic advantageous assets to Japanese consumers for the reason that the motor displacement stayed below 1.5 litres, a significant dedication when paying the Japanese annual path tax which kept the responsibility affordable to the majority of buyers, while having more power compared to the old-fashioned inline motors. The RX-7 inside regard to Japanese proprietors supplied similar overall performance with other Japanese overall performance coupes, while becoming of lighter pounds, with a balanced chassis, and vibrant performance, minus the additional expense of this road income tax responsibility. The 2nd generation RX-7 ("FC", VIN begins JM1FC3 or JMZFC1), still known as the Mazda Savanna RX-7 in Japan, featured a whole restyling similar to the Porsche 924. Mazda's stylists, led by Chief Project professional Akio Uchiyama, focused on the Porsche 924 for their motivation in designing the FC because brand-new automobile was being fashioned mostly when it comes to American market, where almost all first generation RX-7's was marketed. This tactic is chosen after Uchiyama as well as others on design staff spent time in the United States studying people who own earlier in the day RX-7's alongside recreations vehicles preferred inside American markets. The Porsche 944 is promoting specifically well at the time and offered clues as to what sports-car lovers will dsicover powerful in the future RX-7 styling and equipment. Whilst SA22/FB is a purer low rider, the FC tended toward the soft sport-tourer styles of their day, sharing some similarities utilizing the HB series Cosmo. Maneuvering had been a great deal improved, with less regarding the oversteer inclinations of the FB. A corner end build ended up being vastly improved from FB's live rear axle to an even more latest, Independent back suspension system (rear axle). Steering is most precise, with rack and pinion steering replacing the old recirculating baseball steering associated with FB. Disk brakes furthermore became standard, with versions (S4: athletics, GXL, GTU, Turbo II, Convertible; S5: GXL, GTUs, Turbo, Convertible) offering four-piston front brakes. A corner seats had been recommended in certain models of the FC RX-7, but they are not generally based in the American marketplace. Mazda furthermore introduced vibrant monitoring suspension system program (DTSS) in the 2nd generation RX-7. The modified separate back suspension system integrated special toe control hubs which were effective at launching a restricted level of passive rear steering under cornering plenty. The DTSS worked by permitting a slight number of toe-out under regular driving problems but induced minor toe-in under heavy cornering lots at around 0.5 G's or more; toe-out inside rear allows for an even more responsive rotation of the rear, but toe-in permitted for an even more stable backside under heavier cornering. 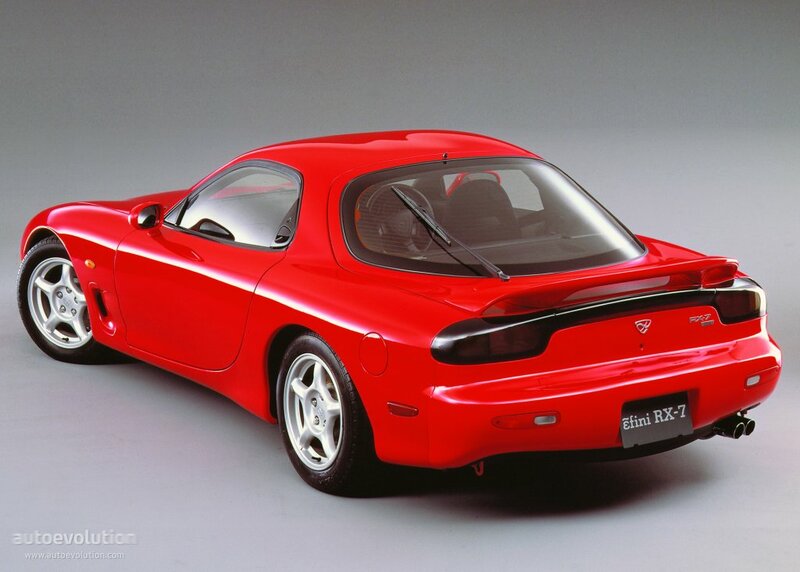 Mazda in addition introduced automobile Adjusting suspension system (AAS) when you look at the 2nd generation RX-7. The system changed damping traits based on the road and driving circumstances. The device paid for camber adjustment and provided anti-dive and anti-squat consequence. The Turbo 2 uses a turbo charger with a twin scroll build. The smaller biggest chamber was engineered to cancel the turbo lag at reduced engine rates. At higher revolutions the secondary chamber is launched, pumping out 33percent even more power compared to normally aspirated equivalent. The Turbo 2 comes with an air-to-air intercooler which has a separate consumption regarding hood. The intake are slightly offset toward the left region of the hood. Though about 800 pound (363 kg) heavier and more isolated than its predecessor, the FC proceeded to win awards from press. The FC RX-7 was Motor Trend's Import Car of the season for 1986, and the Turbo II ended up being on Car and motorist mag's Ten Top number for a second amount of time in 1987. Inside Japanese market, only the turbo motor ended up being available; the normally aspirated version was permitted only as an export. This could be caused by insurance firms in lots of Western nations penalizing turbo vehicles (therefore limiting potential marketing). This increased exposure of containing horsepower and placating insurance firms to produce RX-7's more affordable seems ironic in retrospect. Shortly after the discontinuance of 2nd generation RX-7's in 1992, an outright horsepower "arms competition" smashed down between low rider manufacturers, with higher and higher quantities of energy expected to fulfill customer needs. This rising horse power phenomena arose from the people CAFE specifications staying steady while engine technology marched ahead rapidly. Mazda offered 86,000 RX-7's in america alone in 1986, their earliest model year, with deals peaking in 1988. Australian engines Mazda introduced a small run of 250 'Sports' model Series 4 RX-7's; each without any energy steering, power microsoft windows or rear wiper as an effort to reduce the weight associated with car. In Japan, there clearly was a unique restricted launch of the FC called Infini with just 600 made for every year. Some kind of special noted properties for many Infini series tend to be: infini logo design from the back, enhanced suspension system, upgraded ECU, higher horsepower, lightened weight, 15-inch BBS aluminum alloy rims, Infini logo design tyre, aero bumper kits, bronze colored window cup, floors club regarding the traveler side, aluminum bonnet with scoop, flare and owner. The vehicle ended up being believed given that pinnacle associated with RX-7 show (until the FD arrived on the scene). The Infini IV included various other special products such as for instance black colored container chairs, 16-inch BBS tires, Knee shields, and all sorts of one other products mentioned before. There are differing years when it comes to Infini, which noted the series. Series I became launched in 1987, Series II was launched in 1988, Series III was introduced in 1990, and Show IV had been introduced in 1991. Show we and II arrived in black or white, Show III emerged in woodland Green only, and Series IV came in Forest Green or Noble Green. You can find best small differences between the show, the biggest modification that was through the Series II becoming an S4 (1985--1988) and show III and IV becoming an S5 (1989--1992). The next generation of this RX-7, FD (with FD3S for Japan and JM1FD when it comes to American VIN), showcased an updated human body design. The 13B-REW ended up being the first-ever mass-produced sequential twin-turbocharger program to export from Japan, improving power to 255 PS (188 kW; 252 hp) in 1993 and finally 280 PS (206 kW; 276 hp) by the time production ended in Japan in 2002. In Japan, product sales were afflicted with the truth that this series RX-7 no more complied with Japanese federal government measurement regulations, and Japanese purchasers are liable for annual fees for driving a wide vehicle compared to earlier generations. Once the RX-7 had been now considered an upper-level deluxe sportscar as a result of increased width measurements, Mazda offered two modest recreations cars, the Eunos Roadster, as well as the Eunos Presso hatchback. The sequential twin turbocharged program, introduced about this show in 1992, had been a rather complex bit of manufacturing, developed with the aid of Hitachi and used regarding the exclusive to Japan Cosmo series (JC Cosmo=90--95). The machine had been made up of two turbochargers, someone to provide increase at reasonable RPM. The second device had been on standby until the higher 1 / 2 of the rpm number during complete throttle speed. The very first turbocharger offered 10 psi (0.7 club) of increase from 1800 rpm, plus the 2nd turbocharger is triggered at 4000 rpm to steadfastly keep up 10 psi (0.7 bar) until redline. The changeover process took place at 4500 rpm, with a momentary dip in force to 8 psi (0.6 club), and provided semi-linear acceleration and an extensive torque bend the throughout the entire rev range under "normal process". But under efficiency driving the changeover procedure created an important upsurge in energy and pushed technical motorists to modify their particular travel design to anticipate and mitigate any over-steer during cornering. Many owners changed their particular turbo controls techniques into a parallel program by removing the exhaust manifold Turbo controls Valve additionally the turbo coupling "y-pipe" fee Control Actuator and device being get rid of the changeover process and to simplify the control program for reliability. Turbo lag ended up being considerably increased below 4500 rpm, but smooth and linear increase might be acquired. The inventory turbo controls program used 4 control solenoids, 4 actuators, both a vacuum and stress chamber, and many feet of preformed vacuum/pressure hoses which had been prone to failure in part to complexity as well as the inherent large temperature of the rotary motor. Australian continent have a particular high-performance type of the RX-7 in 1995, known as the RX-7 SP. This design was developed to produce homologation for rushing when you look at the Australian GT Production automobile Series and also the Eastern Creek 12 Hour manufacturing automobile competition. A preliminary run of 25 originals were made, and later a supplementary 10 had been built by Mazda as a result of demand. The RX-7 SP produced 204 kW (274 hp) and 357 N*m (263 lb*ft) of torque, when compared to 176 kW (236 hp) and 294 N*m (217 lb*ft) of standard version. More modifications included a race-developed carbon fibre nostrils cone and rear spoiler, a carbon fiber 120 L gasoline container (instead of the 76 L container into the standard vehicle), a 4.3:1-ratio back differential, 17-inch tires, larger braking system rotors and calipers. A better intercooler, fatigue, and changed ECU are additionally included. Body weight had been paid down somewhat using further carbon fibre usage including lightweight vented bonnet and Recaro chairs to lessen fat to 1218 kg (from 1250 kg). It was a serious road-going battle vehicles that paired their rival Porsche 911 RS CS when it comes to last year Mazda formally registered. The formula paid down when the RX-7 SP claimed the 1995 Eastern Creek 12 time, giving Mazda the winning 12hr trophy for a fourth right year. The winning automobile furthermore gained a podium finish during the worldwide tarmac rally Targa Tasmania months later on. A later unique version, the Bathurst R, premiered in 2001 to commemorate this, in Japan best. In britain, for 1992, customers had been provided only one type of the FD, that has been considering a combination of the US touring and base design. 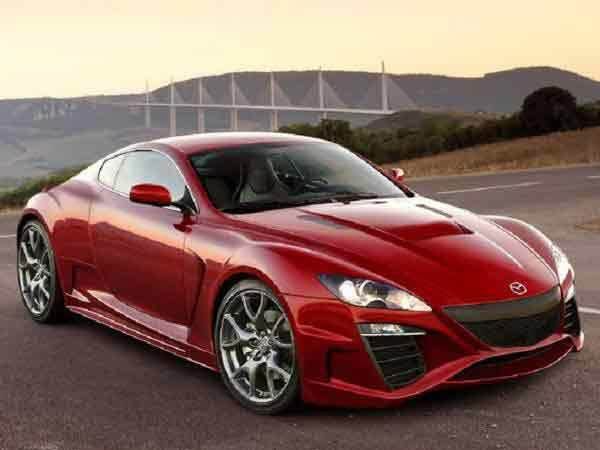 For following year, in a quote to speed up deals, Mazda decreased the price of the RX-7 to 25,000, straight down from 32,000, and refunded the difference to people who purchased the automobile before which was established. The FD continued to be imported on UNITED KINGDOM until 1996. In 1998, for a motor vehicle which had experienced slow product sales when it ended up being officially marketed, with a surge of interest in addition to advantageous asset of a newly launched SVA scheme, the FD would become therefore popular there are additional synchronous and grey brought in designs introduced in to the nation than Mazda UNITED KINGDOM have ever imported. Show 6 (1992--1995) was exported across the world along with the best purchases. 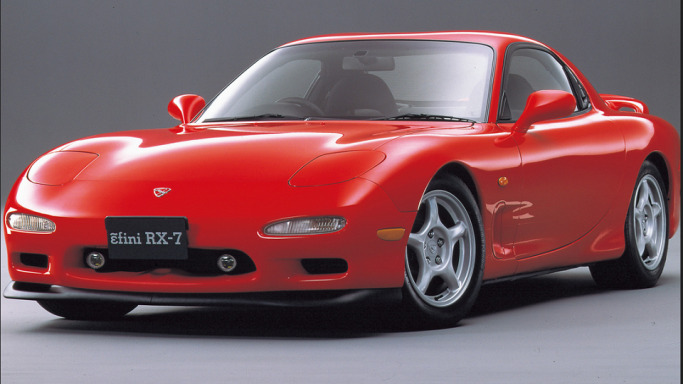 In Japan, Mazda marketed the RX-7 through their fini brand as fini RX-7. Designs in Japan included the sort R, the lightweight recreations model kind RZ, the sort RB, the A-spec in addition to Touring X, which included a four-speed automated transmission. Just the 1993--1995 design ages had been marketed into the U.S. and Canada. Series 6 was included with 255 PS (188 kW; 252 hp) and 294 N*m (217 lb*ft). In 1993, three united states systems are supplied; the "base", the touring, together with R products. The touring FD included a sunroof, fog lighting, fabric seats, a rear window wiper and a Bose Acoustic Wave system. The R (R1 in 1993 and R2 in 1994--95) designs showcased stiffer suspensions, an extra engine oil colder, an aerodynamics bundle, purple-hued microfiber seating, and Z-rated tires. In 1994, the inner got a small modify to add a passenger air bag, and a PEG (results equipment team) design was offered. This design featured leather-based chairs and a sunroof. It didn't range from the fog lighting or Bose stereo of touring bundle. In 1995, the touring package is replaced because of the PEP (popular gear bundle). The PEP package contained leather seats, sunroof and fog lights, but didn't possess Bose Stereo nor a corner screen wiper. In European countries, just 1152 types of this model were marketed through the official Mazda network. One spec is available plus it included double oil-coolers, electric sunroof, cruise control and rear storage containers instead of the back seats. It also has got the stiffer suspension and strut braces through the R systems. Germany top the selling with 446 automobiles, while British is second at 210 and Greece third with 168. The European designs furthermore got the 1994 internal facelift, with a passenger atmosphere case. Series 7 (1996--1998) included lesser adjustment toward vehicle. Updates included a simplified cleaner routing manifold and a 16-bit ECU which along with a greater consumption system netted a supplementary 10 PS (7 kW). This further horsepower was only on manual transmission vehicles given that boost in power was just seen above 7000rpm, that was the redline for automated transmission equipped automobiles. A corner spoiler and end lighting are in addition redesigned. The Type RZ model is now equipped with bigger brake rotors in addition to 17 inch BBS wheels. In Japan, the Series 7 RX-7 is advertised under the Mazda and fini brand. The show 7 was also sold in Australian Continent, unique Zealand therefore the UK. Show 7 RX-7s had been produced just in right-hand-drive setup. Series 8 (January 1999-- August 2002) ended up being the last show, and was just available in the Japanese markets. More cost-effective turbochargers had been on particular brands, while enhanced intercooling and radiator cooling was authorized by a redesigned front fascia with bigger open positions. The seating, controls, and tool group had been all changed. A corner spoiler was customized and attained adjustability on particular models. Three horse power amount can be obtained: 255ps for automatic transmission furnished cars, 265ps for kind RB, and 280ps available on the top-of-the-line sporting brands. The high-end "Type RS" emerged designed with Bilstein suspension and 17-inch rims as standard equipment, and decreased fat to 1,280 kg (2,822 lb). Energy was increasing by adding a less restrictive muffler plus efficient turbochargers which featured abradable compressor seals, 280 PS (206 kW; 276 hp) with 313.8 N*m (231 lb*ft) of torque as per the most Japanese limitation. The kind RS had a brake upgrade by increasing rotor diameter front and rear to 314 mm (12.4 in) and forward rotor depth from 22 mm (0.9 in) to 32 mm (1.3 in). The kind RS variation also sported a 4.30 proportion differential, supplying a substantial reduction in their 0--100 km/hr time. The gearbox was also altered, fifth gear is made longer to lessen cruising rpm and develop gasoline efficiency. The very limited edition kind RZ variation included all of the features for the means RS, but at a lighter weight (at 1270 kg). It also showcased custom gun-metal coloured BBS wheels and a custom red race themed internal. A better ABS system worked by stopping differently for each wheel, enabling the car better turning during stopping. The efficient outcome made for safer driving for average buyer. 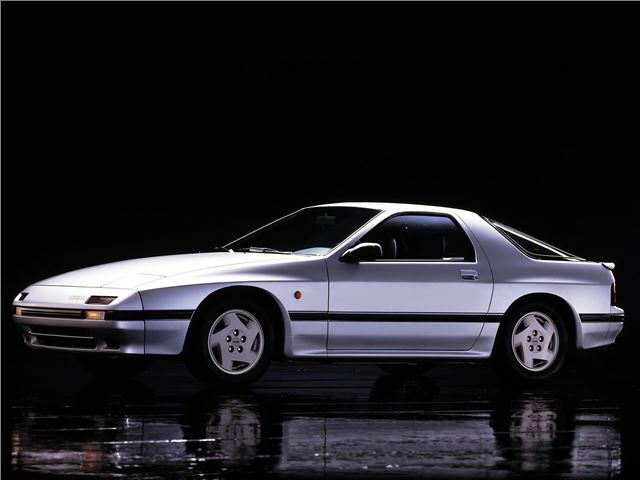 Quickly the essential collectible of all RX-7s were the last 1,500 run-out specials. Dubbed the "character R", they blended all "extra" properties Mazda have used on earlier limited-run specials with new unique functions like cross-drilled braking system rotors. Sticker costs when new are 3,998,000 yen for Type-A and B and 3,398,000 yen for Type-C. Mazda's pr release said "The Type-A character R model is the ultimate RX-7, boasting the absolute most outstanding driving performance in its record." There are three types of "Spirit R": the "means A", "Type B", and "Type C". The "Type A" is a two-seater with a 5-speed handbook transmission. They features lightweight red trim Recaro front side seating as present in the sooner RZ products. The "means B" has a 2+2 seat setup also exercise a five-speed manual transmission. The "Type C" can be a 2+2, but have a four-speed automated transmission. For the 1504 Spirit roentgen's made, over 1000 had been Type A's. A special character R paint color, Titanium Grey, adorned over 700 of 1500 automobiles marketed. 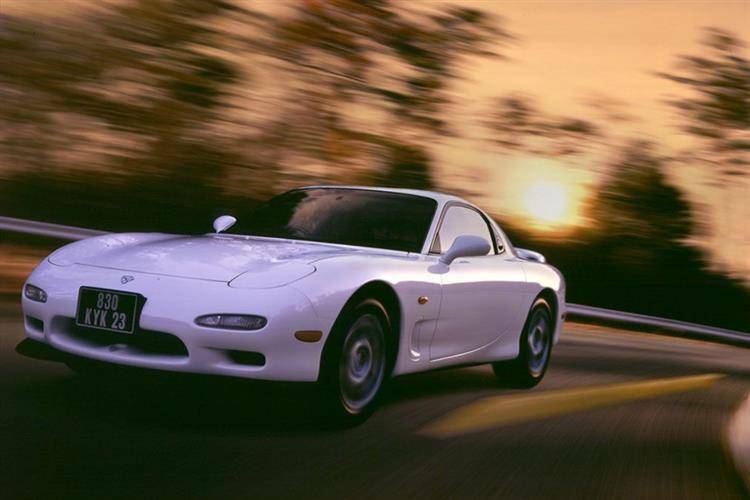 In Japan the FD3S production span is categorized into 6 products: #1 from 1991/12, number 2 from 1993/08, no. 3 from 1995/03, number 4 from 1996/01, number 5 from 1998/12 and number 6 from 2000/10. The design number (1 to 6) actually shows once the very first digit associated with the 6 digits very long JDM VIN, for example in VIN# FD3S-ABCDEF the A is the model amounts. A complete of 9 restricted editions (type RZ in 1992/10 (300 vehicles), RZ 1993/10 (150), R-II Bathurst 1994/09 (350), roentgen Bathurst X 1995/07 (777), RB Bathurst X 1997/01 (700), RS-R 1997/10 (500), RZ 2000/10 (325), R Bathurst R 2001/08 (650), character roentgen 2002/04 (1500)) and 2 special editions (Bathurst roentgen 1995/02, R Bathurst 2001/12) are created. Rushing variations of the first-generation RX-7 were joined within prestigious a day of Le Mans stamina battle. The initial getaway for automobile, loaded with a 13B system, unsuccessful by lower than one second to qualify in 1979. Next seasons, a 12A-equipped RX-7 not just skilled, they put 21st total. That exact same automobile failed to finish in 1981, along side two more 13B vehicles. Those two automobiles were back for 1982, with one 14th-place finish and another DNF. The RX-7 Le Mans work had been replaced because of the 717C model for 1983. In 1991, Mazda made racing records becoming the initial Japanese car producer to winnings the a day of Le Mans. The car ended up being a 4-rotor prototype, the 787B. To this day, Mazda could be the best Japanese producer to own claimed the prestigious 24-hour Le Mans battle outright. Mazda normally the only producer to win the twenty four hours of Le Mans battle utilizing something except that a reciprocating piston system. Mazda began rushing RX-7s when you look at the IMSA GTU series in 1979. In its first 12 months, RX-7s put very first and second within 24 Hours of Daytona, and reported the GTU series tournament. The automobile proceeded winning, claiming the GTU tournament seven ages in a row. The RX-7 took the GTO tournament a decade consecutively from 1982. In addition to this, a GTX version originated, named the Mazda RX-7 GTP; it was unsuccessful, as well as the GTP version of the vehicle has also been unsuccessful. The RX-7 features won more IMSA races than just about any more automobile design. In the USA SCCA competition RX-7s had been raced with great success by Don Kearney when you look at the NE Division and John little finger in SE unit. Pettit Racing won the GT2 path race Championship in 1998. The automobile was a 93 Mazda RX-7 street vehicles with just bolt-on add-ons. At season end Pettit had 140 points---63 points above the 2nd put staff. This exact same vehicle complete the Daytona Rolex 24-hour battle 4 times. The RX-7 also fared well at the Spa twenty four hours race. Three Savanna/RX-7s had been entered in 1981 by Tom Walkinshaw race. After-hours of dealing with several BMW 530i's and Ford Capris, the RX-7 driven by Pierre Dieudonn and Tom Walkinshaw obtained the event. Mazda have switched the tables on BMW, who had beaten Mazda's Familia Rotary to the podium eleven ages earlier on at the exact same celebration. TWR's prepared RX-7s also claimed the Brit Touring automobile tournament in 1980 and 1981, driven by Win Percy. Canadian born Australian touring vehicle driver Allan Moffat was instrumental in bringing Mazda to the Australian touring vehicle scene which went to Group C regulations special to Australia. Over a four-year period from 1981, Moffat took the Mazda RX-7 to triumph in the 1983 Australian Touring vehicles Championship, in addition to a trio of Bathurst 1000 podiums, in 1981 (third with Derek Bell), 1983 (second with Yoshimi Katayama) and 1984 (third with former bike winner Gregg Hansford). Privateer racer Peter McLeod drove his RX-7 to winnings the 1983 Australian Endurance Championship, while Moffat obtained the Endurance subject in 1982 and 1984. Australia's use of worldwide Group A regulations, along with Mazda's reluctance to homologate a bunch The RX-7 (meaning that a base quantity of 5,000 must be built, plus another 500 "evolution" products), finished Mazda's active participation in Australian touring vehicle racing at the end of the 1984 period. Methods was indeed in place to replace the RX-7 with a Mazda 929, but assessment by Allan Moffat in belated 1984 had indicated that vehicle would-be uncompetitive and Mazda abandoned intends to race in Group the. The RX-7 also came out in the World Rally tournament. The automobile finished 11th on its debut during the RAC Rally in Wales in 1981. Group B received most of the main focus for the very first area of the 1980s, but Mazda performed find a way to setting third in the 1985 Acropolis Rally, when the Team B was folded, their Group A-based replacement, the 323 4WD claimed the triumph at Swedish Rally in both 1987 and 1989. The 3rd generation of this RX-7, FD (with FD3S for the JDM and JM1FD the United States Of America VIN), showcased an updated body design. The 13B-REW had been the first-ever mass-produced sequential twin-turbocharger program to export from Japan, boosting capacity to 255 PS (188 kW; 252 hp) in 1993 and finally 280 PS (206 kW; 276 hp) once production finished in Japan in 2002. The sequential twin turbocharged program is an extremely complex piece of engineering, created with the aid of Hitachi and previously used on domestic Cosmo show. The device ended up being consists of two small turbochargers, anyone to incorporate torque at reasonable RPM. The next device had been on standby before the higher 50 % of the rpm range during full throttle speed. The initial turbocharger supplied 10 psi (0.7 bar) of increase from 1800 rpm, and also the 2nd turbocharger ended up being activated at 4000 rpm as well as supplied 10 psi. The changeover process taken place at 4500 rpm, 8 psi (0.6 club), ended up being smooth, and offered linear acceleration and an extensive torque curve through the entire whole rev range. Dealing with into the FD had been seen as world-class, which is however viewed as being among the finest handling and greatest balanced cars of all time. The continued utilization of the front-midship system and drivetrain design, along with an 50:50 front-rear fat distribution proportion and reduced center of gravity made the FD an extremely skilled vehicles at the limitations. Show 8 (January 1999-- August 2002) had been the last show, and was just for sale in japan market. More cost-effective turbochargers had been installed, while enhanced intercooling and radiator air conditioning had been made possible by a revised frontal region. The chairs, steering wheel, and front and rear lights were all changed. The rear spoiler had been altered and attained adjustability. The top-of-the-line "Type RS" came loaded with a Bilstein suspension system and 17-inch wheels as standard gear, and paid down fat to 1,280 kg (2,822 lb). Power was 280 PS (206 kW; 276 hp) with 313.8 N*m (231 lb*ft) of torque as per the most Japanese limit. Ab muscles restricted version Type RZ version included all of the features of this kind RS, but at a lighter weight (at 1270 kg). In addition showcased personalized gun-metal coloured BBS tires and a custom purple race themed indoor. Additional upgrades included a new 16-bit ECU and ABS program updates. The improved ABS system worked by stopping differently for each wheel, enabling the automobile better changing during stopping. The effective outcome designed for safer driving for the normal customer. Easily probably the most collectible of all the RX-7s was the very last 1,500 run-out deals. Dubbed the "character R", they combined all "extra" qualities Mazda have utilized on earlier limited-run deals plus brand new exclusive properties. They however demand amazing prices on Japanese car or truck scene ages later. Find great deals on eBay for rx7 and toyota supra. Shop with confidence. RX7Club.com is the World's largest RX-7 Owners and Enthusiasts website. Inside you'll find everything you need as an owner or potential buyer. Find great deals on eBay for Mazda RX7 in RX-7. Shop with confidence. Search Mazda RX-7 for sale on Carsforsale.com. With millions of cars for sale, youâ€�ll find the best local deal.